Mirko Kovač (1938-2013) was born in Petrovići on the border between Montenegro and Bosnia and Herzegovina. He studied Dramaturgy at the Academy of Dramatic Art in Belgrade. He is an author of seven novels, numerous books of essays, screenplays and letters. Most prominent works include novels Mockery with Soul, (1976), The Doors of My Mother’s Womb (1978), Crystal Bars (1995), and screenplays Occupation in 26 images and other screenplays (1990) and Evening bells (1985). 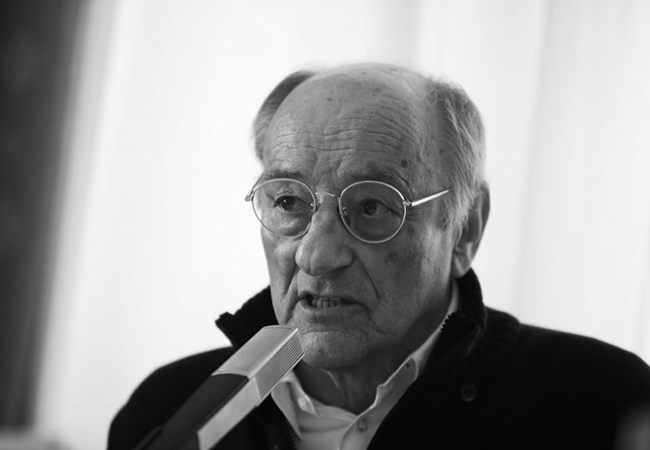 Kovač is a recipient of Swedish PEN Tucholsky Award, Serbian Andric Prize, Slovenian Vilenica Award, Croatian Vladimir Nazor Award and August Šenoa Award, Bosnian Meša Selimović Award, Montenegrin Njegoš Award, Trinaestojulska Award, German Herder Prize and many other awards. The annual Mirko Kovač Award, established in his honor, is presented to the best works written in Bosnia and Herzegovina, Montenegro, Croatia and Serbia. His books have been translated into many European languages. Mirko Kovač died on August 19, 2013 in Zagreb. Kovač is, as always, a master of refined style, abundant language and remarkable authentic interventions.